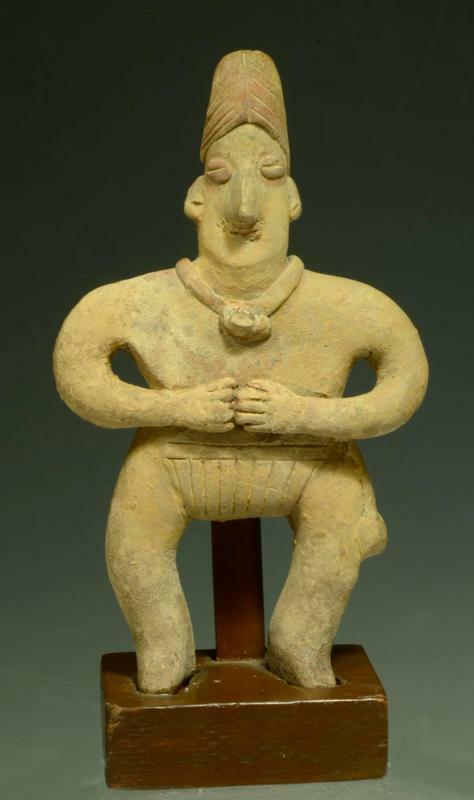 A solid pottery schematic figure, wearing applied necklace, incised hair centrally parted, loincloth and coffee bean eyes. Hands clasp across chest. Scattered mineral deposits on the surface. Size: 6-1/4 inches H. + custom mount. Provenance: Ex lifetime Collection of NYC doctors Siskind and Tuttman.